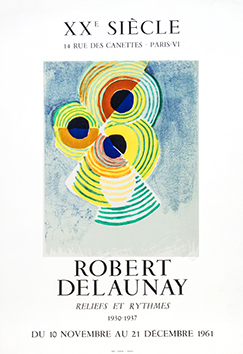 Lo sentimos&comma; pero esta rúbrica no está disponible en su lengua&period;Robert Delaunay was born in Paris in 1885. He started painting in 1903 and exhibited in the Salon d'Automne (Autumn Exhibition) in 1904 and in 1906 as well as in the Salon des Indépendants (Exhibition of Independents) in 1904 (and in each Exhibition up until the First World War). 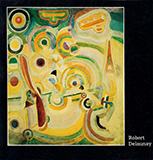 Between 1905 and 1907, Delaunay befriends Henri Rousseau and Jean Metzinger and studies the theories of colour by Michel Eugene Chevreul. During this period, he develops his neo-impressionist style, influenced by Paul Cézanne. 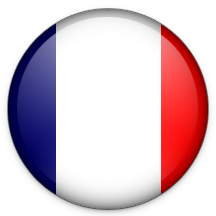 After his military service, he returns to Paris where he mixes with the cubism circle. 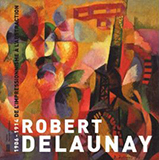 Between 1909 and 1910 Delaunay develops his own style; he paints his first Eiffel Tower in 1909. 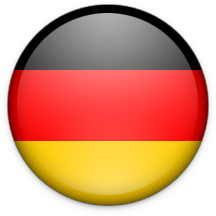 The following year he marries the painter Sonia Terk, with whom he collaborates in many artistic projects (becoming Sonia Delaunay). 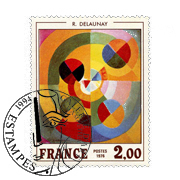 As of 1911, Delaunay is present in Germany where he collaborates with the avant-garde circle. 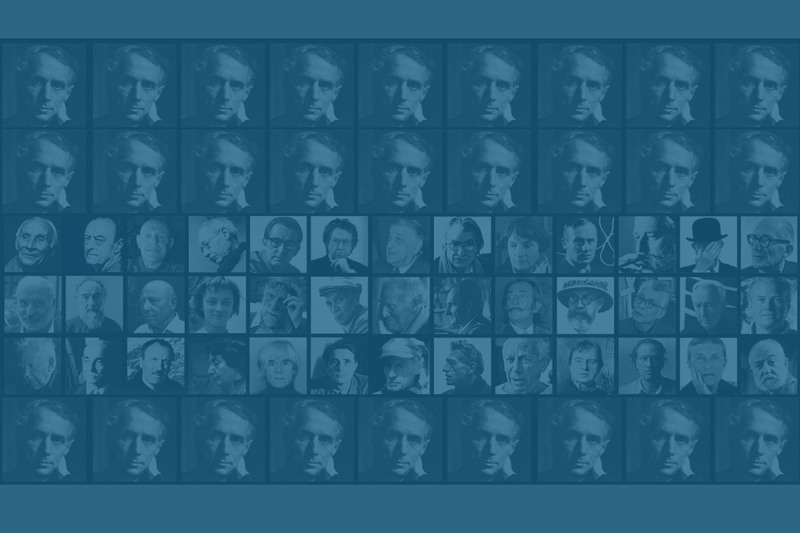 Wassily Kandinsky invites him to participate in the first Blaue Reiter exhibition (The Blue Cavalier) at Monaco. During this period, he befriends Guillaume Apollinaire, Henri Le Fauconnier et Albert Gleizes. In 1912 he has his first solo exhibition at the Barbazanges Gallery in Paris and begins his series of “Fenêtres” (Windows). 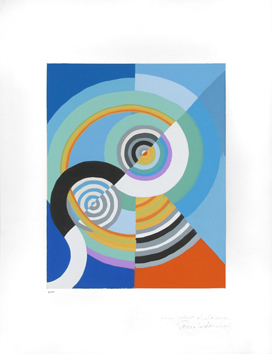 In 1913, he paints his first in the “Disques” (Discs) series, circular shapes and abstract work. From 1914 to 1920, he lives in Spain and in Portugal when he befriends Serge de Diaghilev, Igor Stravinsky, Diego Rivera and Léonide Massine. 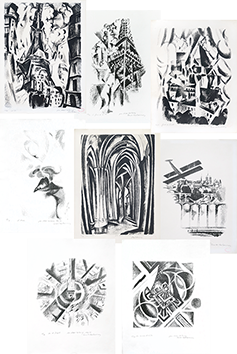 At the beginning of the 20s he returns to Paris, where two years later, he organises an exhibition of his work at the Paul Guillaume Gallery and starts his second Eiffel Tower series. In 1924, he devotes himself to the “Coureurs” (Runners) series. In 1925, he tackles the fresco for the Palais de l'Ambassade de France (French Embassy Palace) at the Exposition Internationale des Arts Décoratifs (International Exhibition of Decorative Arts) in Paris and in 1937, completes the murals for the Palais des Chemins de Fer (Railway Palace) and the Palais de l'Air (Air Palace) at the Exposition Internationale des Arts (International Exhibition of Arts) in Paris. His last works are decorations for the “Salon des Tuileries” sculpture room in 1938. 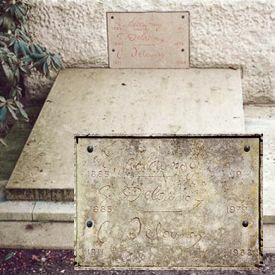 He dies in Montpellier in 1941.